Zargon Studios Corp. is full service creative studio behind Absolute Textures. We are focused on delivering high quality 3D artwork, captivating web sites, realistic architectural visualizations, photography from the eye of an artist, and comprehensive marketing strategies for your real estate development or business. The joe rich project web media specializes in website development with an artistic approach. Their studio specializes in Web Design, Integrated marketing, Search Engine Optimization, Hosting and Print Media. They have ample experience and education in web development, networking, and marketing. Check out their portfolio here. Zargon Design is an Architectural Design and Visualization studio specializing in computer generated 2D & 3D renderings and animations. We provide services to Architects, Interior Designers, Real Estate Developers, Marketers and Advertisers. Our focus is to produce a wide range of high quality architectural renderings and animations that will effectively present your concepts and ideas. We take an intuitive approach to design and assist you in promoting sales. Zargon Design offers you a complete range of 3D Visualization services and Marketing Solutions. In the Air Networks is a Wireless communications provider based in the heart of the Central Okanagan: Kelowna, BC. Being located in Kelowna gives ITAN the access to Internet connections and the infrastructure necessary to deliver premium quality services. ITAN delivers wireless data services, point to point, point to multi-point, LAN, MAN, WAN and wireless Internet. We focus on developing custom solutions for business, residential, and rural communities in the Okanagan and BC Interior. From Kelowna, Vernon and Penticton to Salmon Arm, Kamloops, and Revelstoke. Dan is a great friend of our and an alumi of the original Joe Rich Project. Now living in Texas as a Texture Artist for Stray Bullet Games working on some very cool MMO stuff. If you look closely at Dan's work you will see Absolute Textures peppered throughout. We are waiting for Dan to hit the big time with a game so we can all ride his coat tails and cruise on his private yatch. We are your number one resource for info on everything Catskiing and then some. Here you can shop around to see which Catskiing operation you want to check out next or for the first time. There are articles about the gear used in the catskiing world and stories spinning tales of powder and glory. Searching for the best lines and the deepest powder. Do you have any idea how many Heli Skiing operators there are in Canada? We do! And trust us, there are a lot to choose from. 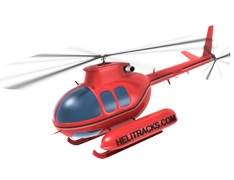 Visit Helitracks.com to learn about the different heliskiing operators out there and what they have to offer. Multi-day trips, heli-drops, price per flight. Whatever you are looking for, you will find it at HeliTracks.com! The ultimate ski resort resource guide for Western Canada on the web. Here you will find a one-stop guide to resort info, events, weather reports, ski reports, ski vacation specials, and more. 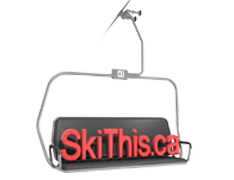 SkiThis.ca strives to be the go to place for everything ski resort related in Canada.